Beauty girl makeup brush, beginner makeup kit, eye shadow brush, girlfriend's birthday gift. Disposable lip brush, lipstick brush, flocking lip gloss brush stick, portable lipstick brush, 50 professional makeup tools. 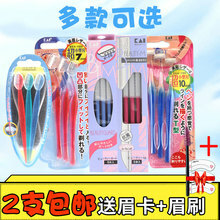 Ming Wei makeup brush then empty 6 sets of eye powder powder brush, high gloss blush brush, dizzy dye brush beauty tools. Cerro Qreen makeup brush set, animal hair makeup tool, full set of eye shadow brush, lip brush, powder brush. Makeup brush set, eye shadow brush, brush, makeup set, makeup brush, brush, makeup tool, beauty brush, full set of net red. How useful! 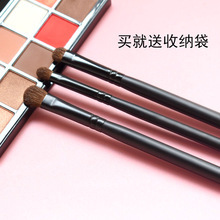 Makeup brush full set of horse hairs, eye shadow brush, trumpet dyeing, eye liner brush, nose shadow brush, beauty dressing tool. Szana beginner makeup brush set up makeup tools, full set of eye shadow brush, eyebrow brush, lip brush, blush powder powder brush. Makeup brush set, eye shadow, foundation brush, high gloss brush, lip brush, eyebrow brush, full set of loose powder, blush, nose shadow brush. 7 12 makeup brush sets, blush, powder brush, eye shadow brush, lip brush, beginner cosmetic tool brush. Unicorn 10 makeup brush sets, beginner's full set of brush, eye shadow, brush, foundation and brush. A small horse hair makeup brush set, eye shadow brush, portable money, an eye detail teenager heart tool for beginners. 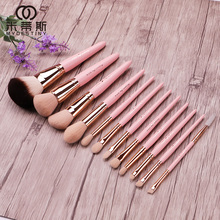 Yan Wei beginner makeup brush set, animal hair color makeup tool, full set of eye shadow brush, eyebrow brush, blush powder powder brush. Makeup set, makeup brush set tool, beginner makeup complete set, portable 12 eye shadow bucket. Christmas Alice makeup brush, rabbit rabbit suit, beginner paint tool, eye shadow brush, blush brush.